Warm waters have pushed certain kinds of whales into unstable habitats, leading to a steep decline in births, a new study found. North Atlantic whales are facing extinction, experts say, after observing no sign of newborns in the past year. As the ocean water temperatures have risen, depleting their food supply, the whales have been migrating to cooler waters where new hazards and "nutritional stress" are taking a toll on their population size, a March study out of Cornell University said. Whales are now venturing farther north into cooler Canadian waters where food is more plentiful, but where boats and fishing gear have proved dangerous. 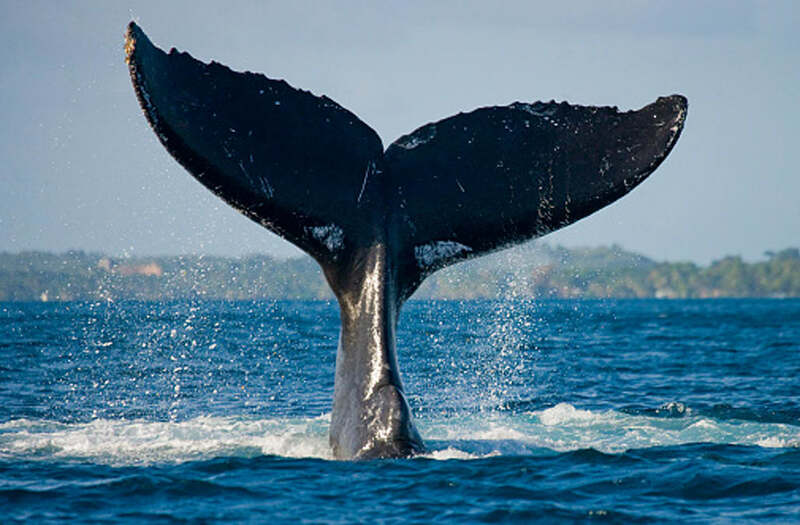 "The fishing gear has not been specially designed to break away when whales are entangled, and there are no acoustic monitoring programs in place to force ships to slow down when whales are present," said Charles Greene, professor of oceanography at Cornell University. Researchers said 17 right whales died last year, totaling more than 3.5 percent of the population. Right whales refer to three types of Eubalaena whales - the North Atlantic right whale, North Pacific right whale and the Southern right whale. "Most of the dead whales that have been examined have exhibited evidence of the blunt trauma associated with ship strikes," Greene said. Right whales eat Calanus finmarchicus, a species of copepods as their main form of nutrition. Scientists have tracked whale reproduction rates in correlation with the amount of available C. finmarchicus. Whale reproduction can vary greatly, Greene said, depending on the abundance of the copepods. Recently, the researchers grew concerned with the spread of C. finmarchicus away from the Gulf of Maine as water temperatures rose, bringing the whales with them. These northern waters are not safe for the whales, and the added "nutritional stress" has likely led to the decline in new calves. "This elevated mortality in the population paints a bleak picture for this highly endangered species' future," he said.